The word toilet does not have the same meaning as of today. It is derived from the French word toile which means “cloth” that was kept over the shoulder of lady or gentleman while dressing their hair. But the toilet does not mean actually like this today nor in the Georgian times. We use this technology of toilet as they use but our advancement helps us to keep a considerable distance from our excretion while the people of Georgian era had to see them up a bit closely. What was used during Night Time? What was Used When Out? Georgian houses do not have any indoor toilets like today’s. The best place for potty was their dining rooms. Chamberpot would be kept inside the sideboards furniture. When anyone needs to relieve themselves they would be excused from the table, get behind the screen and they squat on the chamberpot while continuing conversing with other fellows. Most people used a privy or outhouse which basically means a hole in the ground dig inside the garden or under the houses with some type of cover over it. Then these holes were emptied into large cesspools usually by “night soil men” and the contents was many times used as fertilizer or manure. But this was the facility available to aristocrats and upper-class Georgians, while the poor people usually overflowed which led to the cause of many diseases in them. However, it was the time when a lot of people died in the night because of “night air” as they considered. Later it was revealed that it was the poisonous gas that was leaked out from the waste created in the cesspits. Usually, no one would want to go at a distance from a warm bed at night. 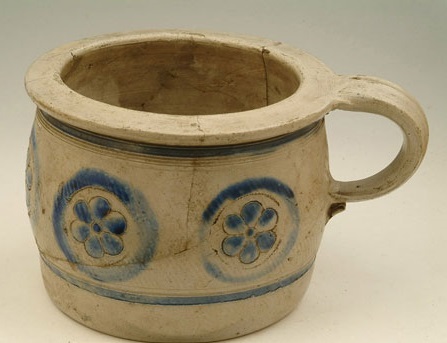 So most houses used a chamberpot. A chamberpot is a plain or fancy container or bowl which is kept under the bed to be used during the night. Sometimes the chamberpot is also kept in a special stool to cover it by providing a seat. This pot is to be emptied in the cesspool in the morning. Not all places had public toilets during that time. So it was a difficult time for ladies as the situation was very tough, however many working and poor women having no choice had to search for a dark corner when they needed to relieve themselves. 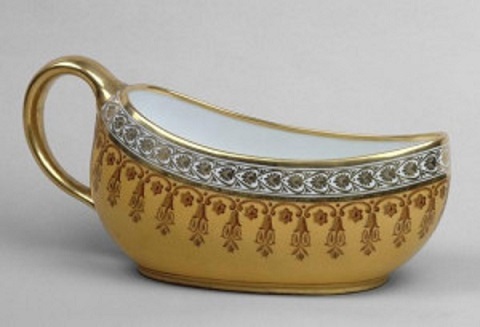 While wealthy ladies used to travel they carried a bourdaloue which is a smaller version of chamberpot with them. So basically bourdaloue is a boat-shaped vessel which has a raised lip at one end and a handle at another end to lift it up. They look liked a gravy boat and was designed in such a manner that it can be used in standing position. They could secretly put this bourdaloue under the skirt and then hand it over to their maids for disposing of it. No such provinces were needed for men as they can easily use a handy wall or any narrow passage. In larger cities like Manchester and London, a single toilet was shared by around 100 peoples. The sewage waste was disposed into rivers and streets which found its way to the drinking water supply. Further, this water was more polluted by chemicals, dead animals and because of these thousands of people died due to water diseases especially cholera in between the years 1830 and 1850. Because of the unhygienic and intolerable smell that leads to many diseases, an urge for finding an alternative aroused. 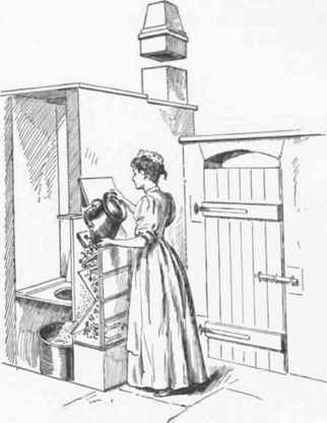 Hence in around 1750, a different and advanced loo was introduced which is called a “Pan Closet”. This new invention had a designed pan at the bottom of the closet to cover up the bad odor. But this design was not so successful as it was not possible to keep the pan clean. 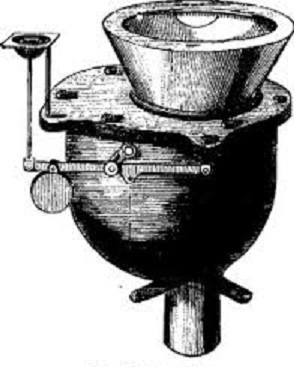 Later in 1775, first ever modern flushing toilets were invented by watchmaker Alexander Cummings. Thereafter in 1778, these toilets were further improved by Joseph Bramah. 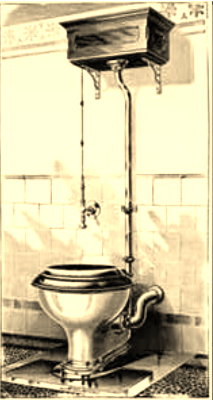 In 1861, Prince Edward appointed Thomas Crapper to build lavatories in many royal palaces and later he patented many toilets related invention though he was not the inventor of modern toilets. Even though modern toilets were available there were not many facilities for sewers and eventually, someone has to empty the commodes and privies into the buckets which were collected by the night soil men’s.